How To Do 2-Million In Sales Through E-Commerce & Drop Shipping As An Expat. Ian Bond, along with his wife and family, realized they no longer wanted to live in the USA and pay big taxes so they moved to Dubai and opened several e-commerce stores using drop shipping and are living their life to the fullest. Don’t miss this episode if you have thought at all about what it would be like owning an e-commerce store and drop shipping as an expat. Mikkel and Ian Bond start by talking about the ‘broken state of affairs‘ with the medical situation in the USA. How about Medicaid? Where is it today? These were supposed to be the 3 legs to the stool – Listening to this episode Ian Bond explains why this is not the reality any longer. Ian Bond and Mikkel talk in detail about how life will look over the next 50 to 60 years. Depending on your age today and what your employment situation is, are you willing to invest all of those years in the same job? I don’t know about you, but for most people, staying at the same company for 60 years is just not practical. Many of us will have 3, 4 or even 5 different careers. Are you ready for a change? Many of you listening will gain huge benefit listening to what Ian Bond talks about as he enjoys creating his 2nd career that will fund his retirement. Listen as Ian Bond explains step by step what has to happen for you to take control over your retirement and what needs to happen now, not later! Tons of chatting about drop shipping and drop shipping as an expat. Ian Bond has purchased several e-commerce websites and helps us to understand how and why you would want to buy into an existing e-commerce website oppose to starting from scratch. And Why use Drop Shipping Physical Goods? Question Mikkel asked: Ian, Is it too late to get into E-Commerce? Answer: Listen to this episode to find out because Ian Bond is pretty in depth and has a ton of information to share, specifically about e-commerce as an expat. If you’re still not convinced, listen to EP 029: Jim Cockrum – Jim is a constant top 10 seller on Amazon, and along with his two closest partners (Nathan Bailey & Brett Bartlett), run a combined $25 million annual sales empire all through an E-Commerce store. As always, a brilliant chat with an international expat who is finally living his dream. Ian Bond has successfully created an online drop shipping company with his wife and living life in Dubai where the sun never stops shining. Ian Bond assures us that it’s not too late to enter the world of e-commerce and drop shipping, so don’t think twice, do it now!  I hope you get as much value from this interview with Ian Bond as I did… and if you would like to stay up to date with all new content that comes out at The Expat Money Show make sure you sign up for our Newsletter below. Some of my best stuff comes out by email and I don’t want you to miss it! Mikkel Thorup; the host of The Expat Money Show, has spent nearly 20 years in continual travel around the world, visiting more than 100 countries including Colombia, North Korea, Zimbabwe and Iran. His goal now is to help Expats just like you to generate additional streams of income, eliminate your tax bill, and take advantage of offshore structures so you can travel the world freely and never have to worry about money again.